That is really a good review. It really gives one an idea of what it would be like to take that program. I’m sure you have helped a lot of people out there! I just started the program, last year I did vet assistant for animal behavior college an I wish I knew about how much more vet technicians made. I am extremely nervous. I would like to subscribe to your blog, if that’s ok? I’m glad it could help. Feel free to let me know if you have any questions! I love your blog! I just wanted to say that I really appreciate what you’ve done here. All the info and your perspective is so inspiring for me. I just recently decided that is the career path I want to start. I have heard a lot of negative things about being a vet tech, so it’s great to hear all your stories. Thanks! Like all careers, there are a lot of ups and downs, but if it’s something that is a calling to you, go for it! Question, did you complete the program while working full time? I want to go back full time so badly for this [ I am currently enrolled in an intro to vet tech class at my community college, paying out of pocket] I am about to take medical terminolology this summer so I’ll have 2 classes under my belt but that’s it so far… I am struggling with how I will continue to pay my car payment, insurance, other bills while going to school full time and only working part time- because if I continue working full time and taking 1-2 classes at a time while doing that, it will take forever! I did work full-time, which is why the online program worked better for me. The only advantage with community college is that it keeps you on schedule and you don’t have to worry about the practicums which are difficult to get through with the online program. But it worked better for me, because I didn’t have to worry about bills. Hmm okay…thanks! How many classes did you take at one time while working full time? It’s good to know that it is possible 🙂 I am worried about taking too many of the hard science classes while working full time because I feel like I may get overwhelmed.. The way Penn Foster was set up when I enrolled, they only allowed once class at a time, but I usually finished each semester within six months, optimizing my days off to get studying done. But I think I have some friends that are in the program now, and they take multiple classes at once. It is self-paced though, so you can work harder certain weeks as opposed to others, that’s why it worked better for me. Hey Chrissy, so I came across this blog in searching for reviews/opinions on the proctored exams. And I have got to say that your take on becoming a vet tech and getting involved with the field beforehand is the best and truest advice I’ve come across. I was fortunate enough to work in the animal field for 3 years before deciding to pursue a career as a certified vet tech. While I had my associates in science, the strict vet tech program and its schedule at my community college would not have allowed me to keep my full time job. So I was iffy about the Penn Foster but again a lot of pluses considering I was paying it out of pocket and it fit with my work schedule, plus it would allow me to take the VTNE. So I was wondering how were you able to complete the second internship? My first internship I will most likely do at my workplace if they approve it. But did Penn Foster give you resources to search for a large animal clinic/farm to complete your second internship at? Also have you studied for or taken the VTNE? Hey Ashley! I was able to find places for my second internship. 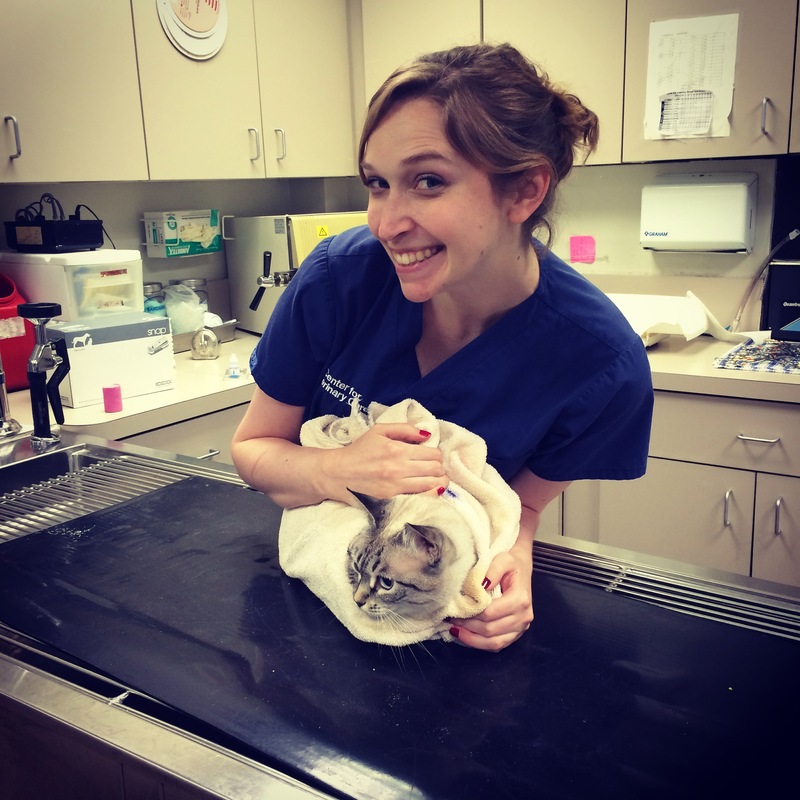 I used connections through the vets I had already worked with and through making awkward phone calls to various veterinary clinics. I haven’t taken the VTNE or officially completed the program. I’m hoping to write a post about why in the next week or two. I’ll be sure to let you know when it is up on the site! I am planning on starting this program next month. I’ve seen some horrible reviews, and some great ones. Though my foot is not already in the door, I’ve been applying and trying to get into some offices and volunteer opportunities. I don’t have a lot of money, or time, and im not the best student, so I feel like Penn Foster is a good option, I just am afraid of being a victim of a scam. I’m excited that it’s an associates degree which I never thought I would have, but extremely nervous about passing the exam and nervous I won’t be accepted into an externship. I guess I just have to take a chance. I wouldn’t say that it is a scam, but I will say getting the externships at the end of the program was difficult. I know they’ve updated a lot of their requirements to make it easier. It just depends on how much determination you have to complete the program. I have been looking into doing the vet tech program through Penn Foster. I have always had a love for animals. I haven’t yet signed up because I keep reading reviews some not so good some great and I have to say I am nervous as all get out. Your review was amazing! Thanks! I’m glad that it could help! Did Penn Foster ultimately prepare you for the VTNE? Thanks so much, Chrissie! Finding the right VT program is agony. I finished a semester of Pierce college but had to take a semester off to work. At this rate, I’ll get my license when most people retire! And I’ve been trying to decipher all the real and fake reviews out there. And yours is soooo informative and refreshing. It’s relieved an awful headache. Thankyou! Thank you so much for this review. Im a first year vet tech student at penn foster.